With a name like the California series, it’s hardly surprising that this cable seems to color the signal a bit. 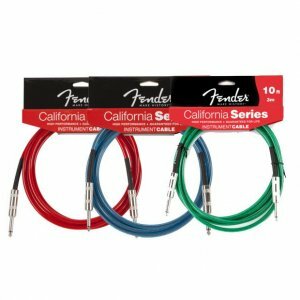 Through attenuation of the higher frequencies, the California series cable sounds warmer and more mid-heavy. Seeing as this cable is most often used by rock players, this effect could be considered desirable, though it’s typically subtle enough that any amount of distortion or signal processing will mask its presence.